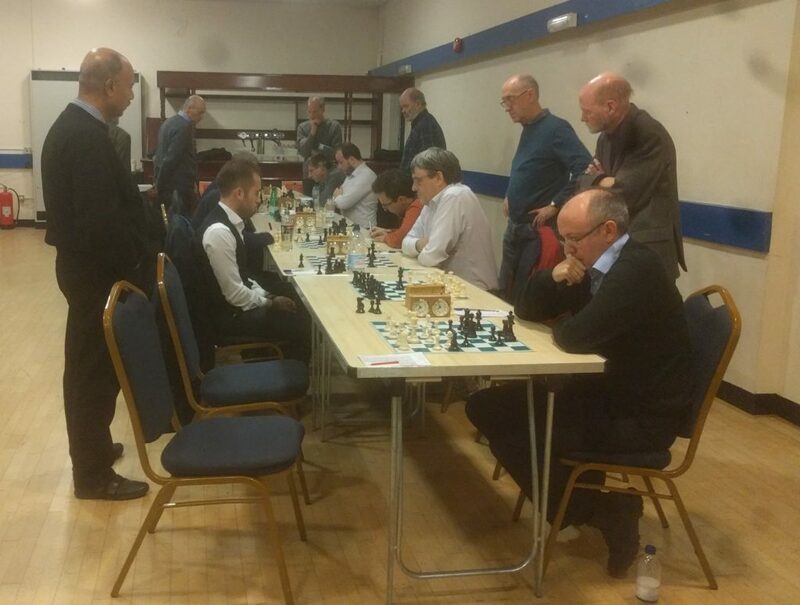 21.11.16 – A first for Hammer, and one more step on the road to creating a vibrant, learning culture at our Chess Club, as ECF trainer Tony Niccoli gave us an evening of his finest teaching! It was a brilliant training session last night for 12 members of the Club. The clarity and format of the evening was perfectly pitched, and the subsequent working in pairs to solve the problems set for us by Tony was just right. Tony gets into his stride… silence at the back! There were two themes to the evening. Firstly, the importance of the outside pawn, and Second, the power of the pin. Even a Lombardy and Fischer game ending was brought into the mix! The former was illustrated by the use of the three problems, and the learning was delivered in a measured way with plenty of audience participation. Having nailed the importance of this concept we were able to transfer these elements to the second theme – the power and use of the pin. A crowd of eager Hammer members looks on intently! Concepts that were new to some attendees and probably forgotten by the others. This was real eye-opening stuff, delivered in a manner that will stick. Regardless of your strength, anyone would benefit from the content delivered in a very professional and logical way by Tony. This was borne out with some of the trickier examples proving a significant challenge to our players rated 160+, indeed it’s fair to say not everyone got the right answers first time round. Proof that homework can be fun… ! The evening ended with homework. Tony gave each attendee a puzzle sheet to take away and work on. A definite case of back to school days and a great way to follow-up on the lessons learnt. On behalf of the club I wish to thank Tony for the huge effort he put into the evening, and his immeasurable patience with us! To all Hammer members who did not attend, you missed a real treat and an evening that would have improved your game! An Ealing Comedy… or Victory? On a wet and dark November evening, what could be more enjoyable than playing in our third (and first away) Middlesex League match? Our hosts Ealing 2 were as friendly as ever. Their venue is one of the nicest to play in, with large tables, big comfortable chairs and digital clocks combining to make for a supremely enjoyable experience. Having resoundingly beaten them 6.5-1.5 at our venue, we went into the match with a lot of confidence, despite a smaller grade gap than before. In the spirit of squad rotation, no less than five players were making their season debuts in the League. A particular mention has to go to Carsten and John for stepping in following late dropouts. Only one game was over within ninety minutes. Newcomer Danny blundered in a winning position, and for the first time this season we were losing the match. Fortunately boards five through seven were on hand to rectify the situation. Solid wins from Hammersmith stalwarts Robin and Nick, and a top class performance from new member David, saw us take a 3-1 lead. This meant that John’s loss on board four was not the end of the world, and left us needing three draws on the top three boards. Adam was pleased to be up against the same opponent he had played in the return fixture, again with the White pieces. Unfortunately, his opponent had done his homework and this time played a much better defence to Adam’s London System. The game headed into a Rook +3 pawn vs. Rook +2 pawn endgame, but after much manoeuvring in time trouble all Adam could do was to settle for the draw. Carsten and Paul heavily out graded their opponents, and were therefore both surprised by the resistance they came up against. 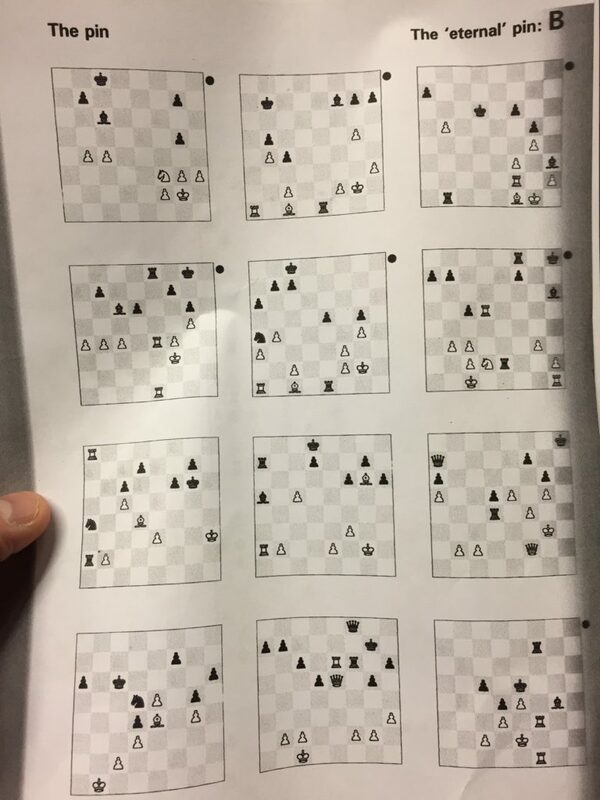 Neither looked to get a significant advantage from the opening or middle game, but their experience and technique were always a little too much for their opponents. In a time scramble at the end, the victories were sealed, as was the team’s win. 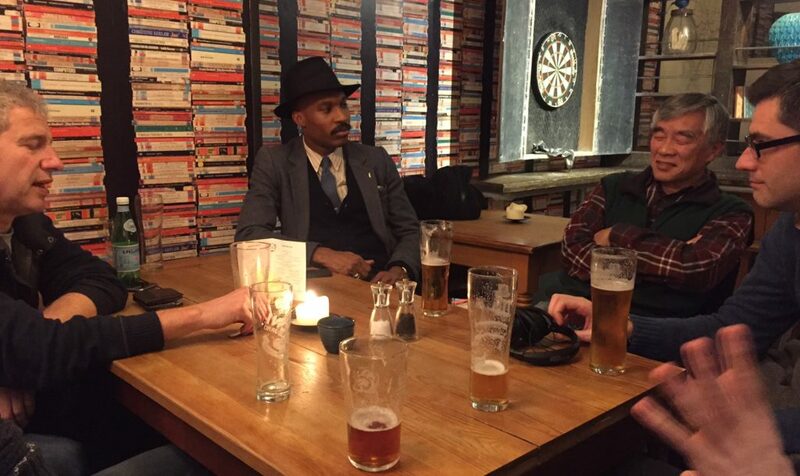 Next up is likely to be our toughest test so far – a trip to Muswell Hill on December 1st. Our sights are now firmly set on the Christmas #1 spot! Author HammerPosted on November 22, 2016 Categories Club Updates, Games2 Comments on An Ealing Comedy… or Victory? On The Scoreboard… At Last! Stop the press!! Hold the front page!! The internet may crash!!!!…. Hammer 1 finally got a half-point and are on their way in London 3! For those of you who know their American Football, Hammer 1 were starting to look like the 2016 Cleveland Browns of the London League 3. Despite huge potential and tenacity we had nil points… just like the unfortunate Browns! That all changed last night with a fighting draw against Mushrooms 2 at Golden Lane. I have never been involved in a match that veered so violently as the results of the individual games came in. At one stage Hammer 1 were 4-1 up with 5 games to be decided. Within the blink of an eye we were trailing 4-5 and all attention switched to the last game. Paul, Sheikh and Adam were the first to finish – all clocking up really impressive victories. Paul’s victory – his first of the season – on the white side of a very complicated French Winawer, represented a welcome return to form of our player of the year last season. A really excellent win. Sheikh’s win was equally welcomed. Playing black against the Closed Sicilian, Sheikh was under severe pressure and facing a pawn roll on his Kingside. With the added complication that his King was there and gradually having his protective pawn shield eroded. However, in a remarkable turnaround Sheikh triumphed. A definite example of the motto – it is never over ’till it is over!!! Adam’s victory with white, utilising the London setup against the fianchetto version of the Dutch was very smooth. Indeed, over a pint later on in the pub Adam opined that this was his best victory since his entry into League chess. He has promised to annotate it for the website. A great performance. The draws of the evening went to Bajrush and Orial. Our wily silver fox of a Chairman, Bajrush was under pressure for much of the game but then assumed the initiative and was threatening a checkmate at the end. Unfortunately there was not enough material to prosecute the attach and the game ended honours even. Bajrush never gives up trying to win and he epitomises what the Hammer spirit is all about. Orial will now be known within our club as the “Wizard of Dingle” thanks to his miraculous escape in this game! An exchange and pawn down, he threw caution to the wind and went on the attack, forcing his opponent to concede a draw. A brilliant rear-guard action. And so to the fallen! John Wooley had a very messy position and was under real pressure. He defended tenaciously but in the end the wall was breached and he resigned in a very difficult position. Alex was the unluckiest loser – despite being substantial material up, he succumbed to a simple mate due to time pressure. A very tough loss and another example that chess can really hurt! Matteo playing on board 8 suffered his first loss in League Chess against a very experienced opponent. He cam out of the opening with quite a constricted position while his opponent gradually built up the advantage. Matteo fought back, nearly achieving equality until, with his Queen offside and under threat he had to surrender material. The end was long but never really in doubt. He will learn from this! Your captain was doing well and then threw away the advantage with the move c4. Having missed a simple intermezzo earlier that would have provided a definite advantage, the loss was fully deserved. At this level of chess you have to take your chances. So it all came down to the final game – could Jeremy get us to 5-5? Would he be the hero or the… zero…? Attention turns to Jeremy’s game… could he save the result?? No pressure!! A really complicated game ended up with Jeremy being a piece and two pawns down. However, under time pressure he was able to penetrate his opponents King position with his Queen and Rook. The two pieces were like the hammer and anvil, and a checkmate ensued. Rome was saved and Jeremy was roundly congratulated by his fellow team members. Points on the board is the moral of the story. Hopefully Hammer 1 can now build on this and achieve our goal of staying in Division 3. Keep the faith and go Hammer! Author HammerPosted on November 18, 2016 November 18, 2016 Categories Club Updates, GamesLeave a comment on On The Scoreboard… At Last! Ladies & Gents – a reminder that ECF trainer Tony Niccoli (ECF 198!) will be down at the Club on Monday 21st November to run a FREE session of training, analysis and insight! It’s an enormous treat for the club & we’re really looking forward to seeing as many of you as possible. Our members have given Tony a number of recent & interesting games to run through with his experienced eye. Will be a great opportunity to learn and improve your game. Entry is FREE, there’s no need to pre-register and you don’t even need to be a member – this session is open to anyone & everyone! We’re looking to start at about 7pm… see you there! 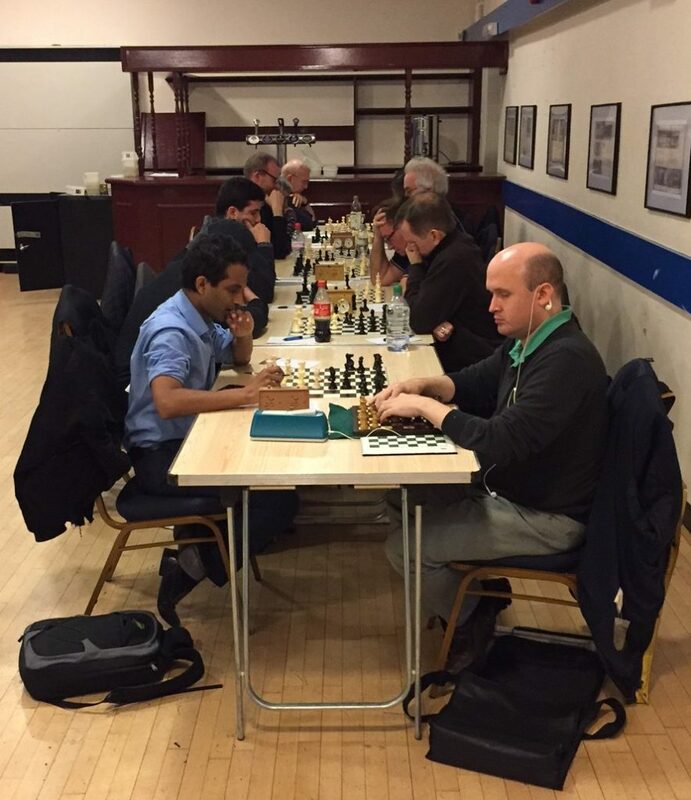 After the huge success of last year’s event, both clubs decided to go for a double repeat of the same format last night. This time the match was played over 9 boards with the same time control of 20 minutes to start with, plus a 5 second increment per move. The match would pit each team member against their opponent twice – playing white in the first game and black in the second. Games were rated so players can get a rapid grade. 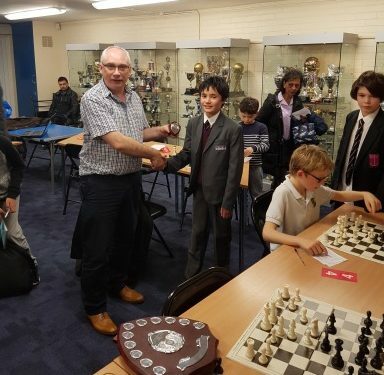 This was truly a brilliant evening with great fighting chess and an unbelievable display of talent by the Juniors. The Hammer All Stars triumphed in both matches but the result of the second-round match was very much up in the air until the end. 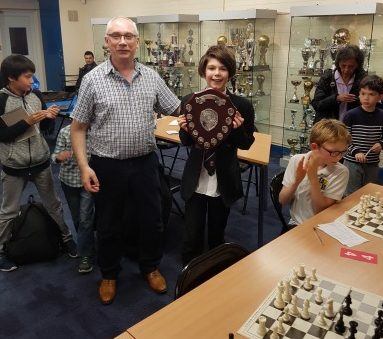 At half-time, Fulham Juniors held a prize-giving in which Vigus Widdicombe-Gasson received the club’s Perpetual Shield for the next year, for the best results during the 2016 season. Xavier Cowan had run him very close. The previous year’s winner, Thomas Le Rendu, received a small trophy to keep, in compensation for having to hand in the Perpetual Shield. The Fulham Juniors are a credit to their coach, Paul McKeown, and were only “Trumped” by the steely determination of the Hammer All Stars. The Hammer All Stars were relentless and ruthless but that did not mean they were not sailing close to the edge at times. Our boards 1, 2 and 3 in the form of Orial, Dave and Robin all achieved 2-0 results but not without the odd critical moment. All games were keenly contested and both Robin and David had a wobbly moment in the second games. Orial’s games were unbelievably complicated and great credit for that goes to Xavier his opponent. In the end Skill, technique and experience triumphed. Matt and Hammersmith debutant David were also 2-0 winners – great to have them in the club! I thank them for volunteering last night and also not been fazed by the sight of an eight-year old boy whizzing pieces around the board! The critical games occurred on boards 4, 5, 6 and 9. On board 4 Chris had to default the first game due to a late arrival but thank fully made it for round 2. 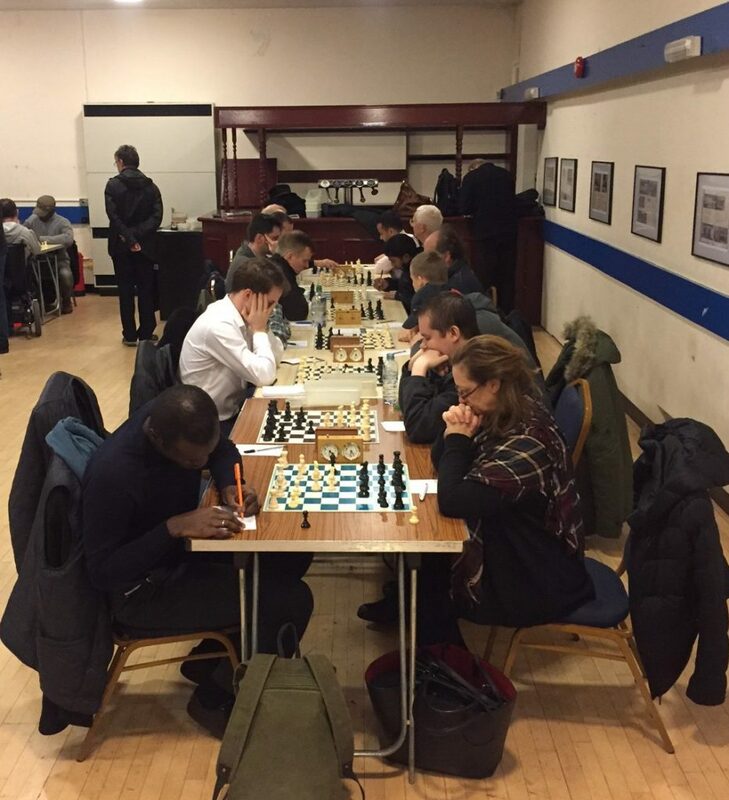 As is the way at these faster time limits – Chris achieved a clear edge but then time pressure began to enter the equation and Chris simply overlooked the overload on f2 and his young opponent Samuel smoothly converted. Danny on board 6 played a really strong first round with the black pieces and duly notched up the point. The second game was the complete opposite with his opponent Hugo playing a great game and gaining a fully-deserved win to split the mini-match 1-1. One of the most interesting games of the night was Andy’s encounter with young Wilfred. The first game ended in a draw as Andy could only force perpetual check due to Wilfred’s strong defending and under intense time pressure. In the second Andy’s experience in endgames triumphed. 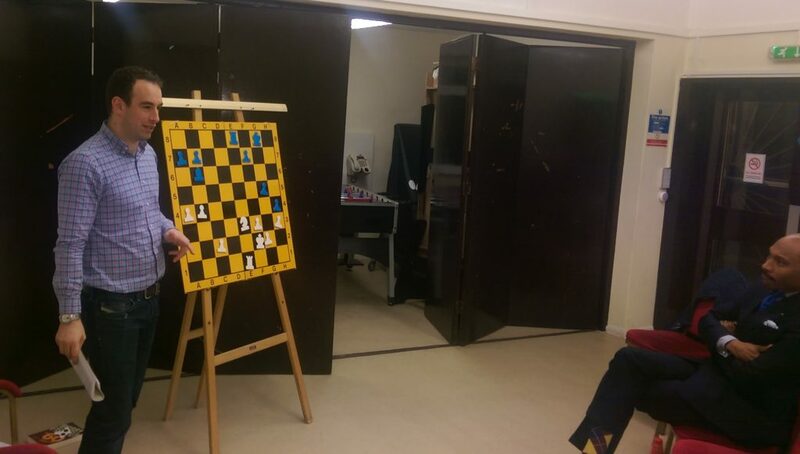 However, there was one stage of this game where young Wilfred displayed an uncanny understanding of black-square control that must be innate and caused Andy real technical difficulties at the board. 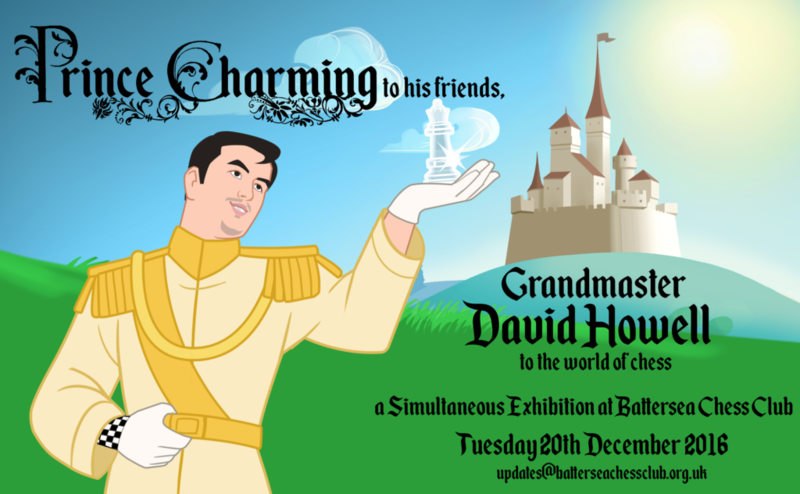 Finally, on board 9 – we have the tale of the best-dressed chess player in London (maybe in the world! )– Shaun. Shaun has only just started playing competitive chess over the board and his clock-handling is still something he has to come to terms with. He lost both games on time, despite being way ahead materially and positionally. Chess is very unfair sometimes. Fortunately, the administration of a post-match Glenmorangie helped soothe the pain! The Hammer team “analyses” the result afterwards… alcohol incidental! Bring on the return ! 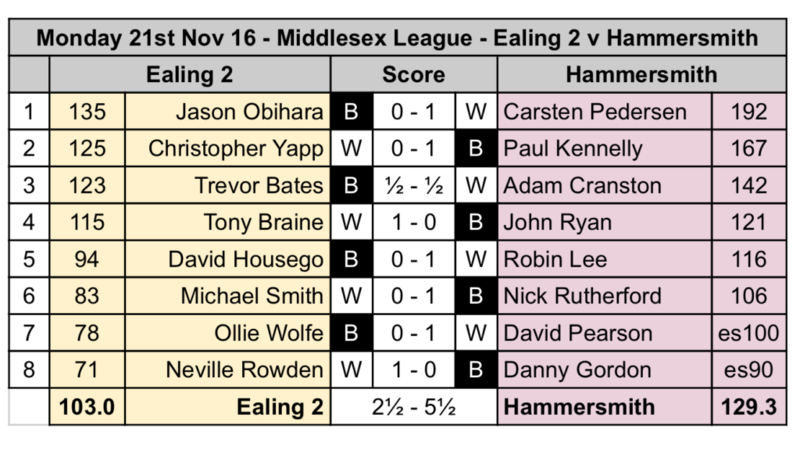 Author HammerPosted on November 15, 2016 Categories Club UpdatesLeave a comment on Middlesex League: A Harrow-ing Win! 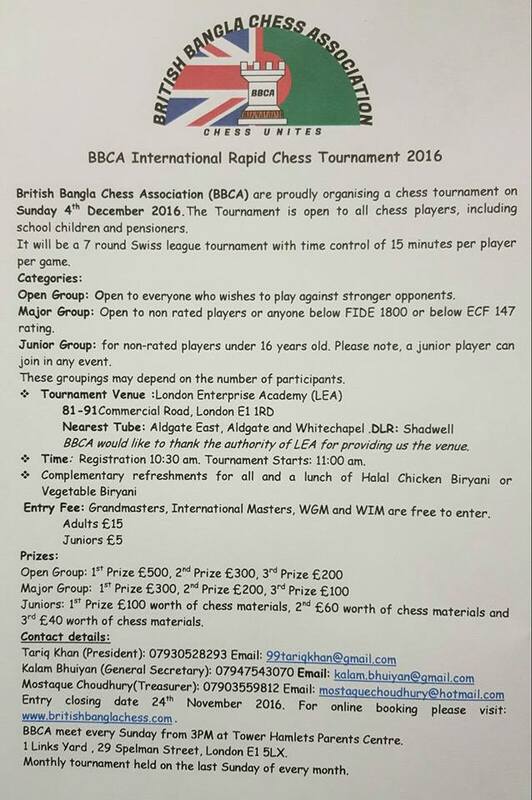 Author HammerPosted on November 14, 2016 November 16, 2016 Categories General ChessLeave a comment on Tournaments, Simuls, and Chicken Biryani! It’s a reflection on how hard I was concentrating on my own game that I have little insight on the games involving Brian, Robin or Andy. When I finally conceded defeat, we were already down 0.5 vs 3.5. Brian once again held firm and chipped-in with a solid half-point. My game was a frustrating one. I felt I outplayed my opponent all the way through the middle-game, managed to fork King and Rook with my Knight and entered the endgame +1.5 points according to my engine. Still, they haven’t developed a Stockfish that allows for a couple of slack moves under time pressure! Before I knew it, my opponent had squared-up his double-bishops and they were at least as strong as my Rook / Bishop pair. Real frustrating one. Ken was first to claim a win – an outstanding result on his debut! Not least because my spies tell me he looked in a spot of bother early-doors. It was nice to see the guys playing through some variations once the game had finished. A pleasure when you’ve won. Torture when you’ve lost. Rich found himself in a good position against his tricky adversary, again with advanced pawns raiding their way up the board. Short on time, he pushed hard for promotion but allowed the back-door open and the most frustrating of finishes: a perpetual check when you’re clearly winning! No doubt almost as painful as his 5am start the next morning. Next to finish was Orial who maintains his fine start for the club. All the focus was on his lone pawn on the 6th rank, and whether he could force it home. No easy feat with 3 pieces blocking its path. Still, through a series of skilful manoeuvres he found a way, and ended up slipping it a surprise checkmate into the bargain. Very impressive to watch. The night was rounded off by John who was a whole piece and a pawn up when the clock chimed and it was time to adjourn. His position was solid, with a natural plan emerging to raid into enemy territory with his doubled-pawns. Sensing the end in sight, his opponent did the honourable thing and resigned rather than force the resumption. Also allowed a few of us to nip to the pub to muse over what might have been! Following a highly successful thriller of a match last season (it ended a 6-6 draw – details here), we again face the mighty Fulham Juniors in a one-off match next week at the Brunswick Club – Tuesday 15th November. 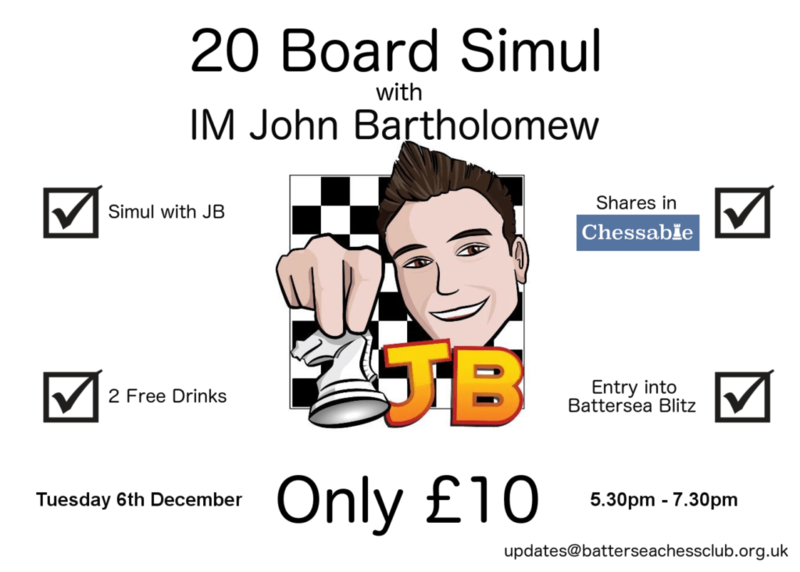 There are no grading restrictions, so if you are keen to play please contact John White to confirm your space in the lineup. It proved extremely popular last season so please get in touch if you don’t want to miss out. The Brunswick Club is up on Haldane Road, SW6 7EU – a short walk from Fulham Broadway tube. And looking further ahead… our Club Night on Monday 21st November features ECF-trainer (and 198-rated player) Tony Niccoli for a special evening of coaching. 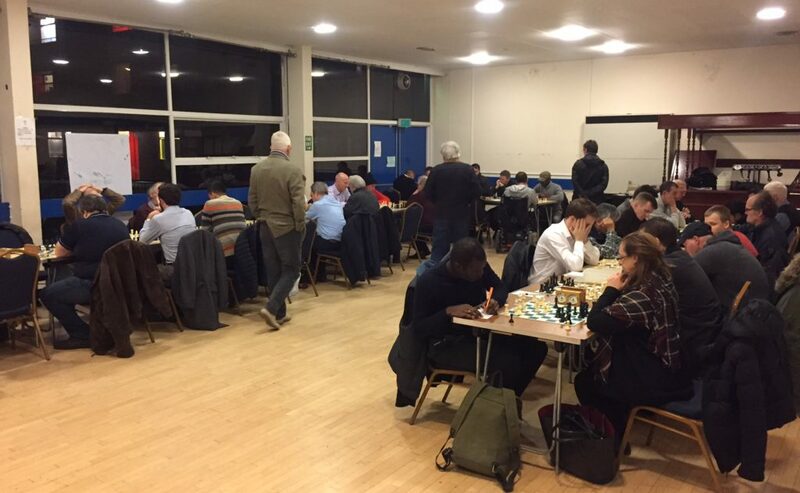 Tony has generously volunteered to analyse and run-through some games, so if you have a particularly interesting encounter you’d like him to have a look at & share with the Club, please get in touch. Would love to see as many of you there as possible – promises to be very good. 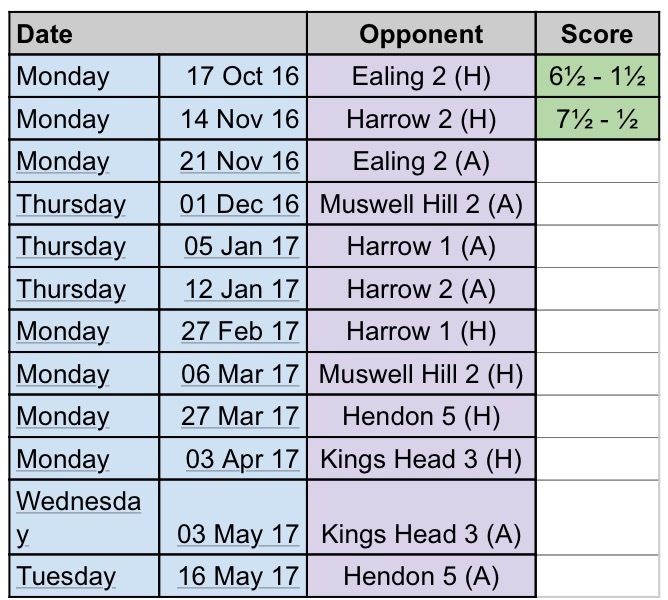 With Hammersmith playing a second team in London 6 this year, it has been a busy week of chess. In our second match we saw the debut of two players in this team in fine fettle, both getting cracking wins, although I was too preoccupied with my game to watch the excitement and fireworks. On board 3, amidst a flurry of moves made in true blitz fashion, with groans and sparks flying, Chris Moore demolished his opponent. In the case of board 4 it all seemed quiet on the Western front after an initial trade of some pieces and it appeared a draw was in the offing, with Andy defending a Smith-Morra played rather tentatively by White. After a weak 4th move from White, Andy strengthened his position slowly, getting a strafing set of bishops criss-crossing the board. White had seemingly two issues – an exposed Queen and the back rank undefended. The end was nigh, albeit with no apparent forced mate, although White resigned in the face of the inevitable. On board 2 in my game I played an odd defence to White’s e4 and it became almost a CaroKann, with some Pirc overtones. Needless to say, I played very cautiously and got my knight posted to advantage on D4 binding White. His queenside development left something to be desired. There was a lot of manoeuvring of minor pieces to and fro but slowly I built up a pawn break in the centre and then on the King, with a Queen and implied Knight going for a fishing pole mate after White had moved g3. The Queen lighted on h3 with glee. But I pressed on the attack making no sacrifices, moving Bishop and Knight to support the Queen with a powerful Rook entering on g7. With more time, perhaps doubling Rook, I might have had a mating attack, but opted to trade pieces and I thought I was winning. Sadly he prevailed and after all the trades his Rook won an important pawn. His doubled pawns on the h-rank became an essential feature of the endgame and bound the Black King unfortunately, the end was predictably and inevitably lost . My opponent played the endgame with faultless technique. On Board 1 Brian reached an endgame with just one Rook and pawns against ditto, but Black was 1 or 2 pawns ahead with a centre pawn mass. Brian’s opening was the Max Lange attack that morphed into an Evans Gambit (his forte, I should add). The opening was played very sharply and suddenly Brian had Bishop and Queen bearing down on g8, and indeed I saw Bxd8 and I thought he had overwhelmingly won, because the black King and Rooks became vulnerable, but after some wriggling Black was able to castle long. After that the game was about strengthening weak pieces and getting pieces out. Thanks all for playing, and congratulations on the result. A disappointing night for the Hedger team. With a late withdrawal and default due to illness, the team were up against it to get a result here. With the addition of a couple more teams to L6 this season, it has become an ultra-competitive minor league with no quarter given. Defaults will prove costly as we saw this evening. 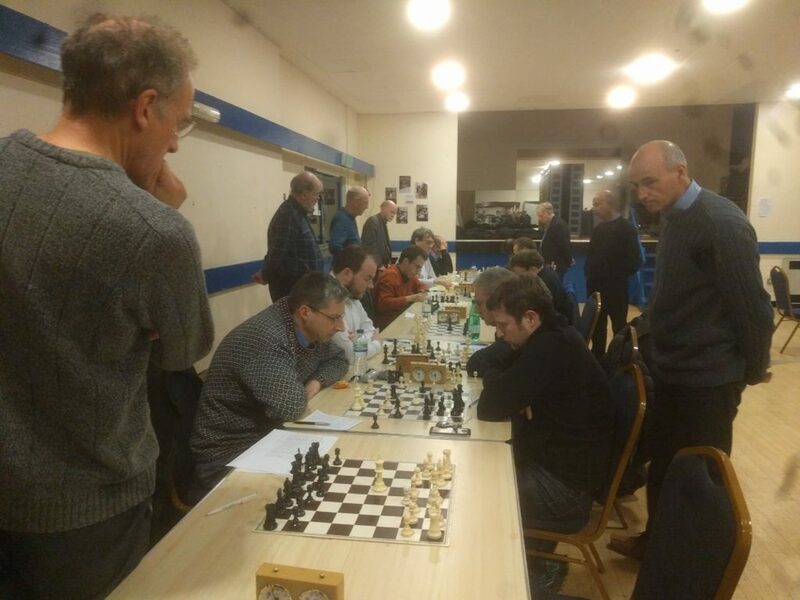 Sadly the Hammersmith team never really recovered from the inauspicious start, with both Mike and John losing their games – unusual for them both to face defeat on the same evening. The omens clearly against us on the night. The only positive was Dan securing a comfortable win on board 4. Hopefully this leads to a run of good form! 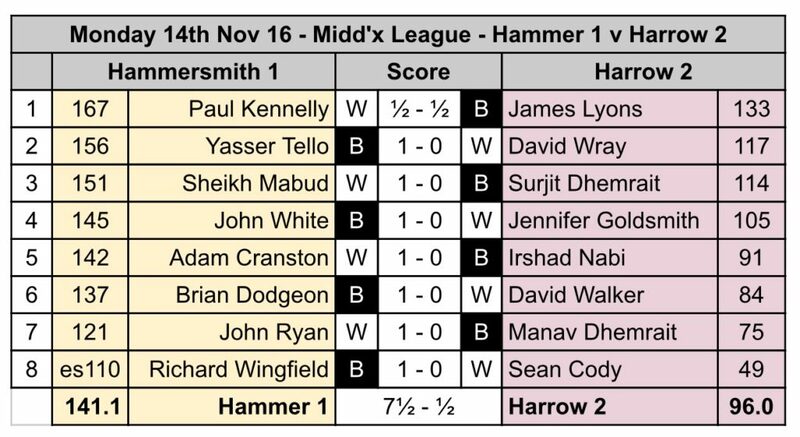 Last night saw the first win of the season for Hammersmith MB against a tough Athenaeum side on their turf. Always a pleasure to visit the club in the west end – your first move of the night is navigating the entrance doorway! On board 1 Chris started his game 30 mins behind on clock after a mix up, playing a quick-play game – not ideal! A tense Kings Indian, by the 30 move mark Queens had been exchanged and he’d caught up on time(!). A complex middle game developed, with Chris forcing his opponents King into a very tight position and winning a bishop to take the game. Great performance. An uncommon French for Rich playing Black, the Schlechter variation led to a cramped opening. After getting in the freeing e5 he was able to get a pin on Queen and rook, securing the win. Andy on 3 had a rollercoaster of a game. Ahead in development playing the Scotch as White, he was a piece ahead and apparently cruising to victory after 20 moves, only to squander the advantage and end up a Rook down in the endgame. A tough result to take, but he’ll go again! Matt played excellently in his first competitive game for the club. Black in a semi-Slav, he managed to get a pawn up in a Rook Knight end game, but his opponent created a dangerous passed pawn. Some tight play later down to Knight and pawn, the game settled a draw. A great result for the team, and well done to Matt on his debut.